We took our crazy rodeo to Toulouse last week, for a very tech-oriented instalment of the Start-up Hunt. The centre of the European aerospace industry, Toulouse is home to major players like Airbus, the CNES’s Toulouse Space Centre (the largest of its kind in Europe) and significant positioning and satellite systems like Galileo and SPOT. With centres of excellence like these, there’s no doubt that Toulouse’s veins run thick with technological innovation. Further evidence of this can be seen in the presence of EmTech France, where we headed for. 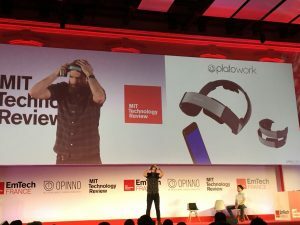 The conference series is produced by the Massachusetts Institute of Technology’s “Technology Review” magazine, and has unsurprisingly found its French home in Toulouse. It’s a conference unashamedly about tech – cutting out the noise around investment, VCs, legislation and other barriers to unadulterated innovation. We loved how true the programme stayed to this ethos, with standout presentations on topics such as transhumanism from Danish start-up PlatoScience – a neurostimulation headset that aims to stimulate your brain to be in the right mindset for work, and on modelling player emotion in games from academic Noor Shaker. The presence of new technologies like Sunwaterlife, the water purification system innovators, and Nanomade, who can turn any surface into a touch, force and pressure sensitive surface, also caught our attention. 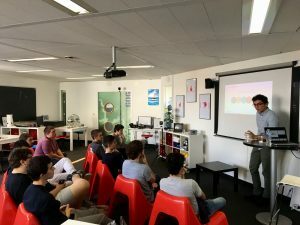 Plus, a trip to Toulouse wouldn’t be complete without a visit to our friends at Epitech, where we spoke to third-year students about entrepreneurship, business and financing. We loved hearing about their development projects, and reinforcing the concrete importance of their work in the wider ecosystem. Plus, we’re never shy when it comes to an opportunity to be total geeks, with other total geeks. Toulouse buzzes with potential, the uniqueness of its ecosystem lying in the discrepancy between its small population (1.2 million in its metropolis) and huge output in new technologies. In fact, since 2010, no French city has experienced stronger economic growth than Toulouse. It’s easy to talk about a start-up hub’s excellent research centres, as you can’t be a pioneering hub without great thinkers. But we really could talk for hours about the strength in Toulouse’s Internet of Things (IoT) and aeronautical innovation capabilities, in addition to the disproportionate number of initiatives, co-working spaces, incubators and VCs, versus the modest size of the city. The Toulouse Business School, who run an entrepreneurship programme in partnership with venture studio ekito, alongside the world-leading ISAE-SUPAERO and ENSEEIHT (we prefer saying this than its full name, which frankly makes us feel the need to lie down), are not only exceptional institutions, but focus on driving innovation primed for production. These are not just big thinkers, but practical ones. And they’re backed by the big corporates, like Airbus in their partnership with LAAS, or the funding of IoT Valley from the guys behind Sigfox. 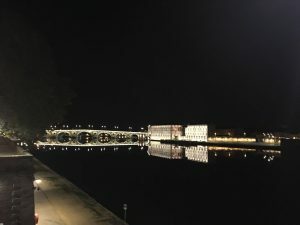 Where Toulouse’s falls short of its potential is in the lack of cohesion between Toulouse proper and Labège, the outskirt town home to IoT Valley and organisations like the Thales Group. Many start-ups want to be in the bright lights of Toulouse, not in the smaller satellite of Labège. However, plans laid out in the summer of 2016 for a metro line connection between the centre of Toulouse and Labège, will cut the journey time between the two to around 20 minutes. This interconnectivity will surely bring about a new phase for Toulouse’s ecosystem, as ideas and resources will be more readily exchanged. It’s hardly a surprise that we expect Toulouse’s start-up future to be bright, with its unique combination of industrials, start-ups and researchers who are genuinely interested in each other’s work. We hope this magic combination will halt the brain-drain of France’s most technical minds to Silicon Valley, where formal qualifications carry more weight than they do in French corporates. This sunny southern ville may not be the next Paris, but it’s undeniable that it packs a punch in France’s competitive world of trailblazing innovation.